PRIMAL INSTINCTS: Bobby Gillespie of Primal Scream learned a lot from his time in Jesus and Mary Chain. Nine studio albums into their career, Primal Scream show no signs of slowing down. While their peers of the early 80s have either disappeared or stayed set in their ways, this Scottish institution, led by vocalist Bobby Gillespie, are ever-evolving – and their eyes are open to the future. It’s appropriate then, that this new release, Beautiful Future, steer clear of sounds from the past. Out of numerous contenders, the band worked with producer Bjorn Yttling (of Swedish pop-trio Peter Bjorn and John) and collaborated with people like Josh Homme and CSS’s Lovefoxx. Beautiful Future marks the continued emergence of Yttling as a sought after producer, who has also worked with artists such as Lykke Li, Montys Loco and Shout Out Louds. His love of fresh, and often stark pop music, is becoming attractive to many bands. “We met Bjorn and we liked him as a guy. He’s got a dry sense of humour and he’s funny. His musical tastes are completely similar to ours – he’s a music lover. Bjorn’s ideas for production were really good – he wanted clarity and space. He’s very minimalist and that suited us right down to the ground,” explains Gillespie. Primal Scream continue to be fans of new music, and although their sound isn’t influenced by a lot these days, Gillespie admits that some of the new crop of emerging artists give Primal Scream inspiration. Beautiful Future weaves Gillespie’s darker lyrical style with uplifting melodies – which is just the way he likes it. “I think [the record] is quite euphoric. Even if some of the lyrics aren’t exactly joyous, it’s a good mixture to have euphoric music with cutting lyrics. [The songs] are just observations and how I see things. A lot of my humour is in there, as well as sarcasm. I really love euphoric music, like the early Beatles, The Archies, or glam-rock – like Gary Glitter. It gives you such a f**kin’ rush. 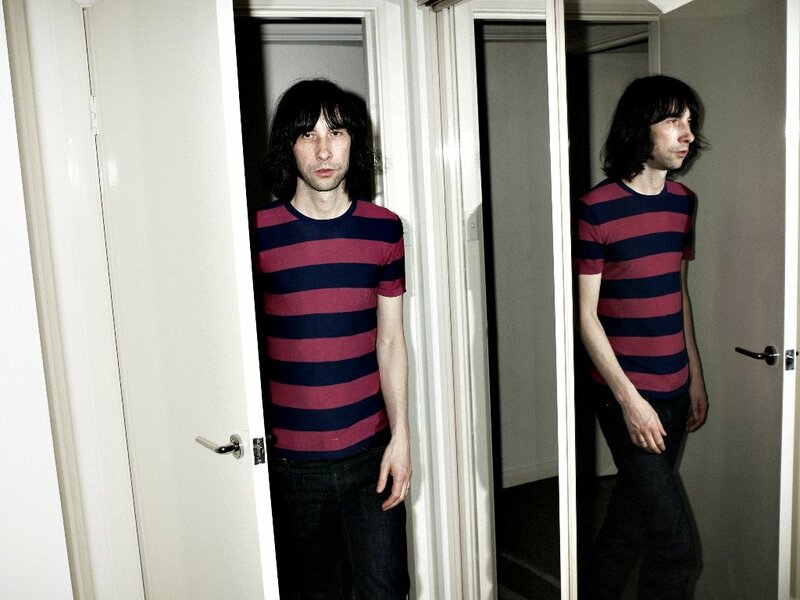 I think Primal Scream have always had euphoria in our music, like ‘Rocks’ and ‘Country Girl’. We write those kinds of songs. Euphoria is great – it’s joyous. It’s great to make people happy,” explains Gillespie. As Gillespie confirms, Beautiful Future was chosen as the title of the album because it is loaded with meaning and open to interpretation. It can be viewed as positive or sarcastic. “It was the perfect title for the album, really. The lyrics of the title track set the tone for the rest of the album,” says Gillespie. So what would the singer have thought of this new album if someone had played it to him when Primal Scream where starting out? “I’m sure I would have liked it. It touches on some of the music I was listening to [when the band formed], but also some of the stuff I was listening to when I was 11 or 12 – even 9. There’s some bubblegum [pop] on this album,” admits Gillespie. 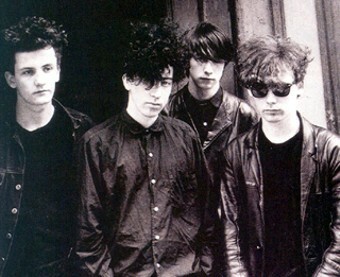 Jesus and Mary Chain circa 1985, with Gillespie pictured second from right. Primal Scream have been releasing albums for over 20 years, while a lot of their peers have come and gone. Why have Primal Scream lasted? Gillespie delivers with trademark honesty. “I think we’re really good at what we do. We’re a f**king great rock’n’roll band. We love music and we’ve given ourselves completely to music. If you give yourself to music, it will give you something back. [Primal Scream] have always been about making great records and being great live. When I went on tour in the beginning with Mary Chain, I knew I wanted to do this for the rest of my life. I was born to do this,” says Gillespie. With this Scotish lad’s enthusiasm about the future, one can only assume that at the top Primal Scream will remain. Beautiful Future is available now through Warner.